Builders Trade Depot is your one stop shop for all you need in building material and is a great place to get what you need under one roof. 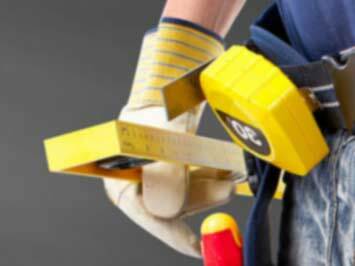 View the Builders Trade Depot catalogue for specials. Builders Trade Depot is a building contractors delight, because it is here where you will find most if not all your essentials in building materials like cement, sand, pallets, paint and lots more to aid your building projects. Builders Trade Depot South Africa also brings shoppers a large selection of quality products from leading brands at affordable prices. Builders Trade Depot branches are located throughout South Africa, you can contact the Builders Group directly for stores and contact details. Everybody likes a special and to catch Builders Trade Depot specials simply have a look at the latest Builders Trade Depot catalogue for money saving deals on selected items. Builders Trade Depot is a division of Builders Warehouse, which is one of South Africa's leading retail outlets and suppliers of all you need in hardware essentials, building supplies, home improvements and equipment to help achieve the goal. Builders Trade Depot is a division of the company dedicated and specialised in building materials and equipment. To date there are 14 Builders Trade Depot stores located in South Africa and growing. Builders became part of Massmart in 2003 and have grown since then with several division including Builders Express, Builders Trade Depot, Builders Warehouse and Builders Superstore and in 2011 Wallmart acquired more than 50% of shares within the Massmart Group. Builders Trade Depot is a division of Builders Warehouse, one of South Africa's giants in the hardware and home improvements industry and also part of the Massmart and Wallmart Groups. Here you'll find all you need under one roof when it comes to tackling renovations and building contracts. With a large selection of supplies to choose from you not only get quality products but also money saving Builders Trade Depot specials that will save you even more on selected items. See the Builders Trade Depot catalogue for any specials on the materials or products you're looking to purchase. Builders Trade Depot since also part of Builders thus is dedicated to environmental sustainability, supplier and enterprise development. Do you want to receive more Builders Trade Depot deals by email?